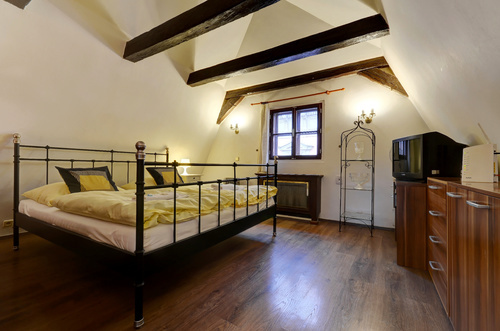 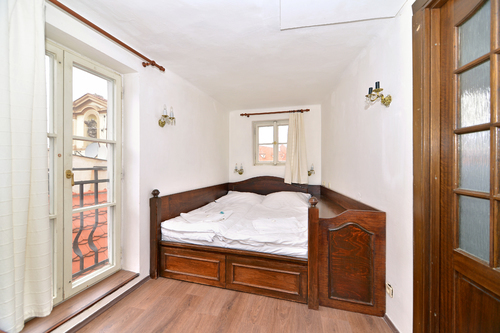 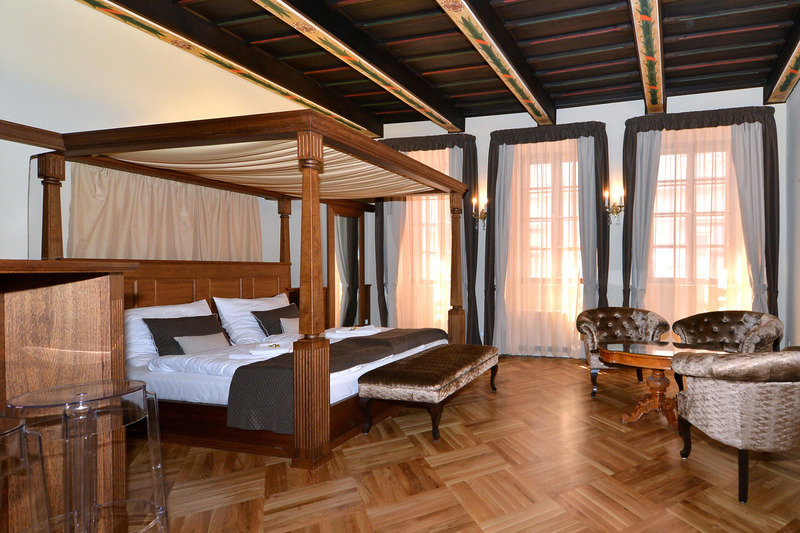 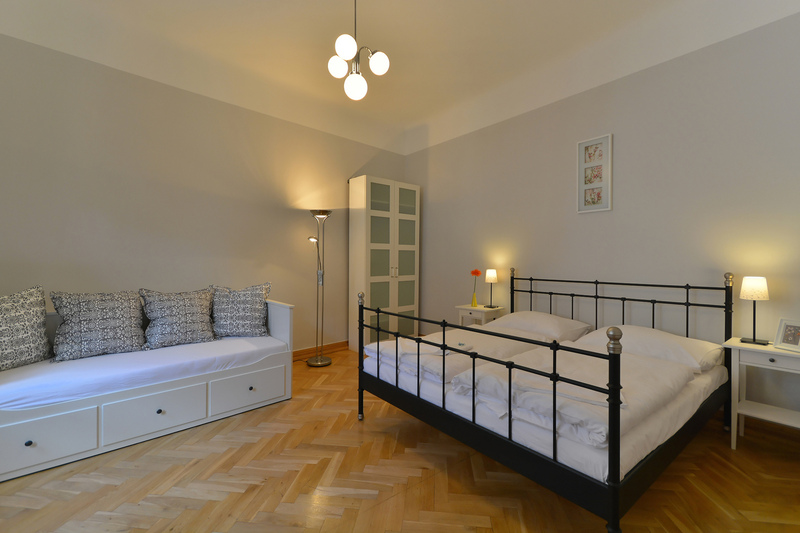 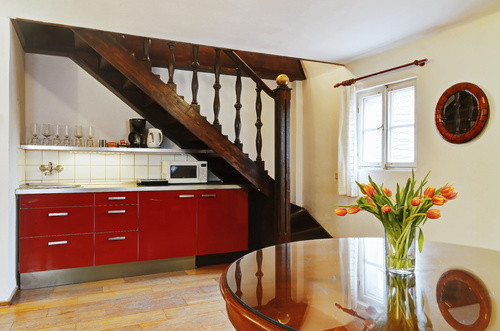 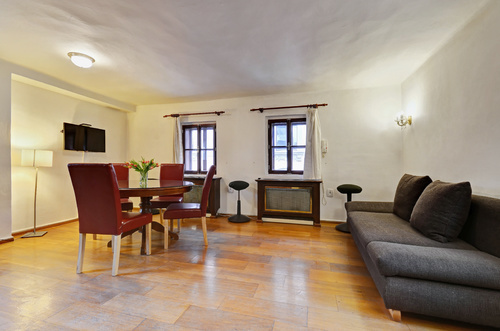 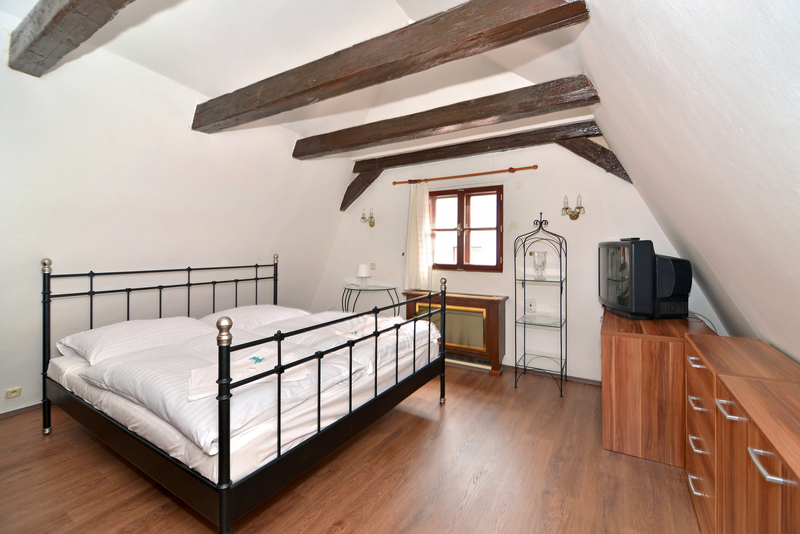 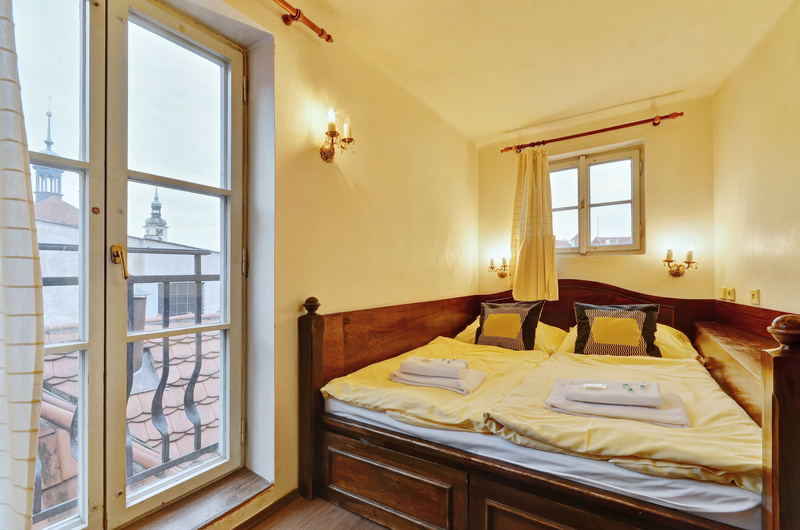 You can order unique accommodation in a two-storey apartment right in the centre of Prague, near the Old Town Square, on the Royal Route, where historey left its marks. 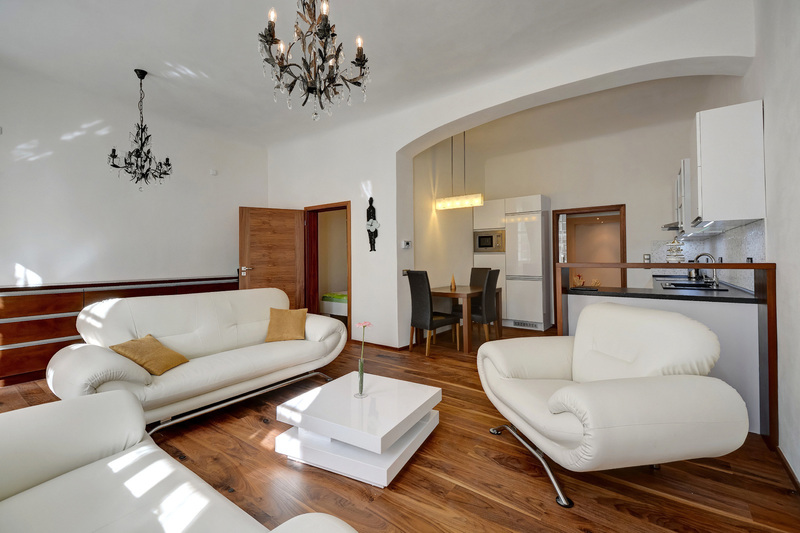 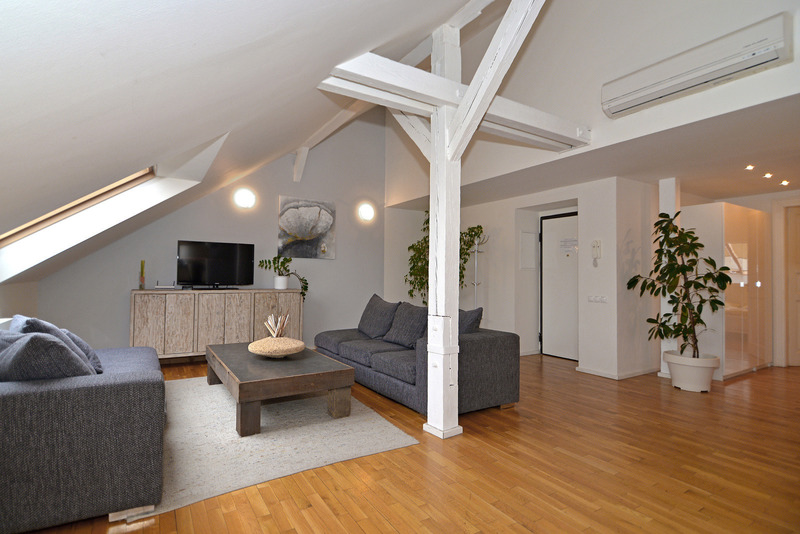 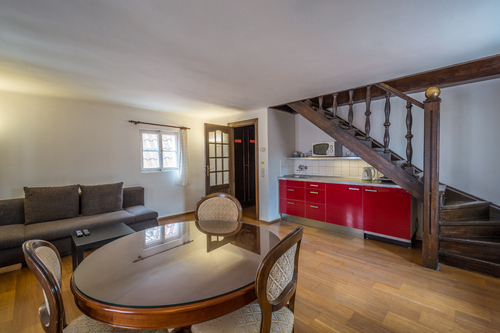 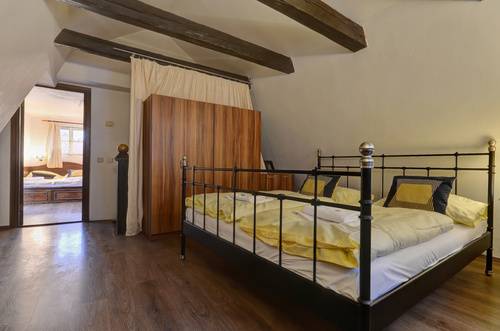 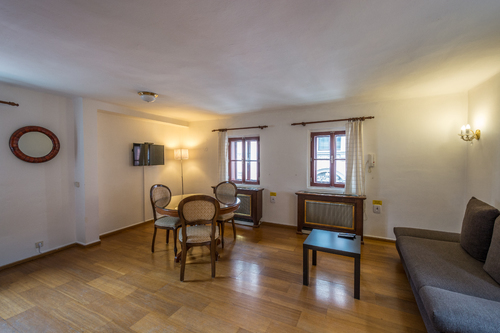 The apartment with premium amenities in Karlova Street 7 is situated on the 4th and 5th floors of a house from the 14th century without an lift. Next to the front door, there is a toilet. 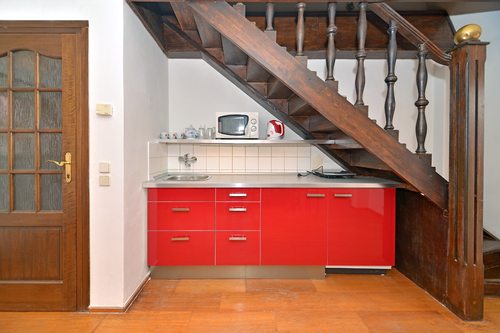 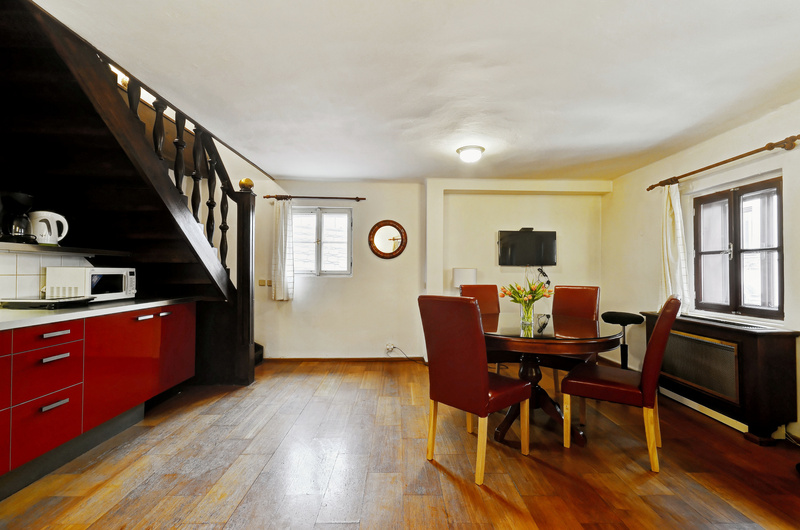 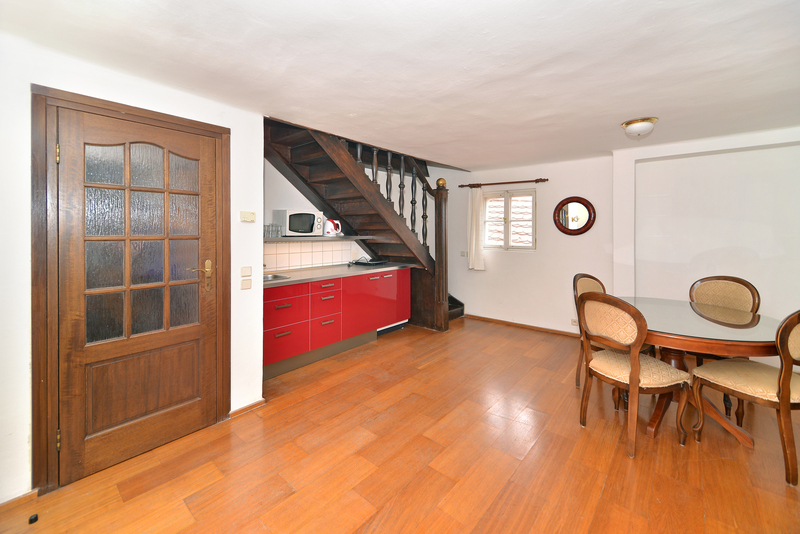 In the lower floor, there is a kitchenette with a table, and a fold out sofa. 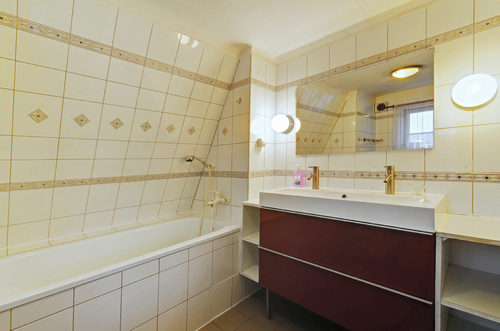 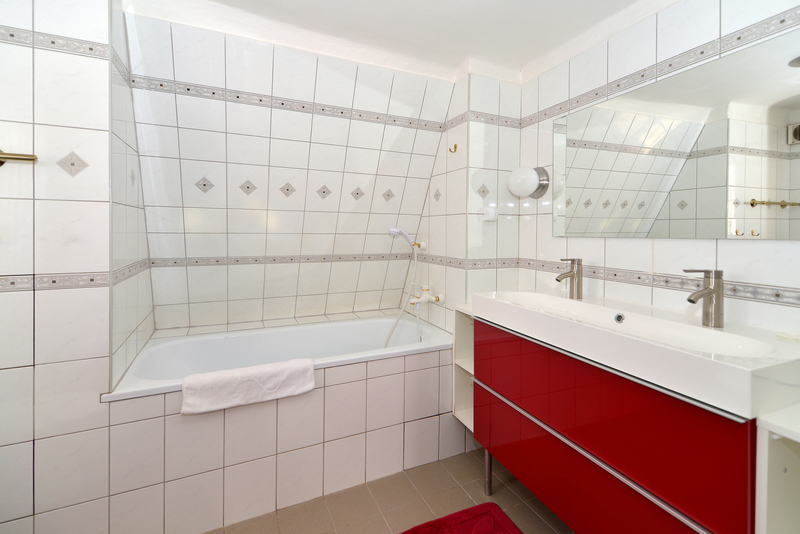 The upper floor offers both bedrooms and one bathroom with a bathtub.